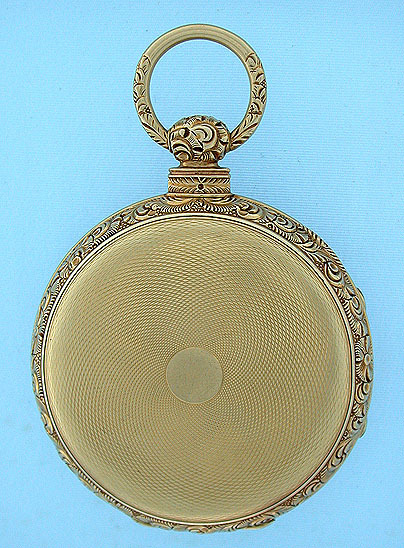 Good English 18K gold lever and fusee keywind antique pocket watch with engraved multicolor gold dial by Tobias, Liverpool, circa 1845. 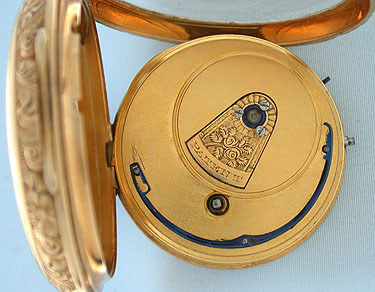 The substantial engine turned case with cast and chased bezels, pendant and bow. 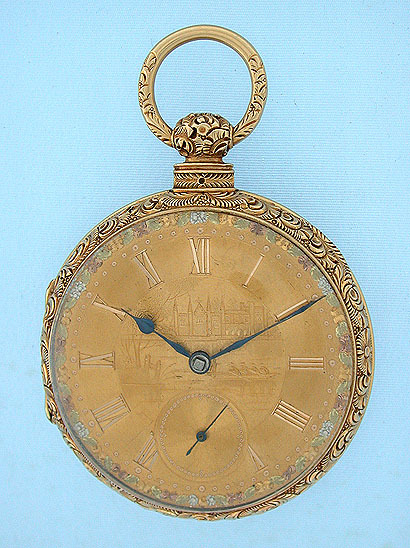 Gold dial (minor scuff) with engraved center, applied gold numerals, and a border of applied flowers in four colors of gold. 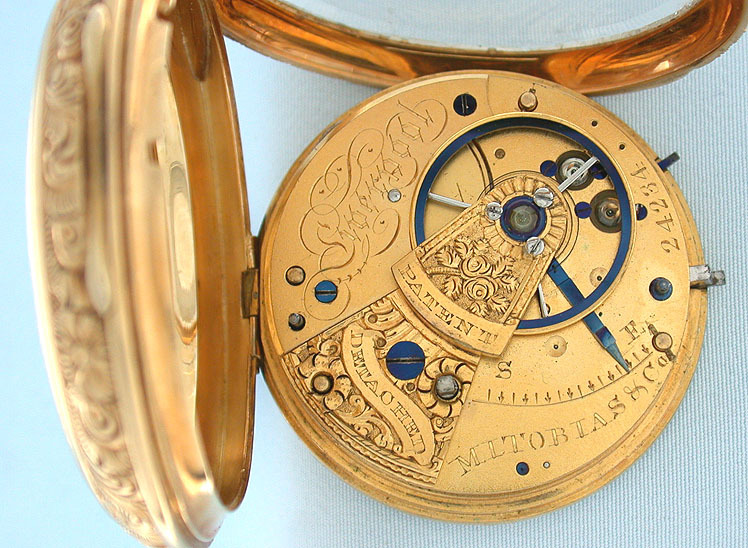 Gilt 11 jewel movement with large clear jewels called "Liverpool Windows" and uncut bimetallic balance. Excellent example.